The 119 Point Check for your Porsche underpins our servicing packages. 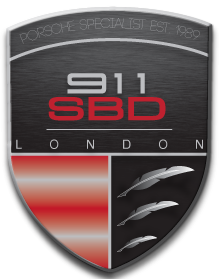 Whether it is a minor or a major service you are after, the 119 Point Check will leave you safe in the knowledge your Porsche is running perfectly. With us, every Porsche undergoes a 119 Point inspection resulting in maximum reassurance for you. Our rigorous inspection is based on a 119 Point Checklist and the car is reconditioned where necessary – all done, of course, in accordance with Porsche’s high standards. What is included in the 119 Point Check? Check for mileage discrepancies/odometer tampering, all manuals and booklets, check service history. Engine, transmission, and axle oil levels, all other fluid levels (coolant, windshield washer, power steering, brakes, transfer case, clutch). Ignition/starter switch, all exterior and interior lights (headlights, taillights, fog lights, dome, dash, emergency flashers, etc. ), windshield and rear window wipers and washer system operation, check computer readout and address all faults in the memory where applicable. Foot and hand brake efficiency, ABS system operation, foot pedal action, transmission gear change/clutch operation (manual)/kickdown (automatic), all instruments and switches, electronic stability, adaptive damping, and navigation systems, cruise control functions, seat belts condition and operation, overall vehicle handling and performance, air conditioning/heating/fresh air systems, rear window and mirror heaters, idling speed, all wheel drive operation, engine oil and ATF levels. Check for unusual noise from drivetrain, valve train or other engine noise, and visually inspect for excessive smoke coming from the exhaust. After the road test all fluid levels are rechecked and checks to ensure there is no leakage.